This is a Bio refining company with Rs. 1400 crores ($200 million) in sales http://www.somaiya.com/ The Company is engaged in the manufacture of sugar, ethanol, renewable energy, chemicals, biogas & compost – all from agricultural resources. More than 70% of company inputs are from renewable resources. The company also works extensively with 20,000 small farmers in over 200 villages to help improve productivity, yields & standard of living. The company’s products find use in food, fuels, solvents, cosmetics, fragrances, pharmaceuticals, mining, agriculture and variety of different applications. The products are sold worldwide. This is a trust involved in education, healthcare & rural development http://www.somaiya.com/ in the states of Maharashtra, Karnataka & Gujarat. The trust manages over 30 different educational institutions of learning extending from elementary to Ph. D. The education is imparted in diverse areas such as medicine, engineering, the arts and sciences, religion, vocational studies, education, languages etc. There are over 39,000 students and 1,500 faculty. There is also a 650 bed urban teaching hospital & 40 bed rural hospital. The trusts jointly run 8 schools, 6 of which are in rural Maharashtra and Karnataka. 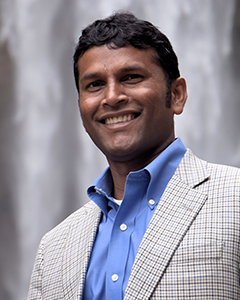 Sendurai A. Mani is an Associate Professor in the Department of Translational Molecular Pathology at MD Anderson Cancer Center. 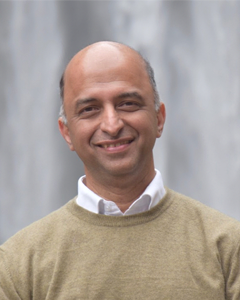 Dr. Mani is also the co-director of the Metastasis Research Center as well as the Center for Stem Cell and Developmental Biology at MD Anderson Cancer Center. Dr. Mani’s laboratory uses various model systems, including cell lines, patient-derived tumor xenografts as well as mouse models to study the role of cancer stem cells (CSCs) in tumor progression. Dr. Mani’s original finding demonstrating the cancer cells acquire stem cell properties by activating latent embryonic epithelial-mesenchymal transition (EMT) program provided the foundation and explanation for the presence of plasticity within the tumor as well as the development of resistance to various treatments. This key finding also opened up doors for different biotech companies to target EMT signaling pathways to inhibit metastasis and therapy resistance by targeting EMT mediated tumor plasticity. Dr. Mani earned a Ph.D. from Indian Institute of Science, Bangalore, India, and he did postdoctoral work with Dr. Robert A. Weinberg at the Whitehead Institute/Massachusetts Institute of Technology (MIT), Cambridge, Massachusetts, USA. He then joined the University of Texas MD Anderson Cancer Center, Houston, Texas as an Assistant Professor and he is now an Associate Professor. Phd in Chemistry from Mumbai University India. Sucrose and Ethanol chemistry. Sugar cane based Bio-refinery, more specifically converting by-products in to valuable chemicals such as molasses to bioplastics and bagasse to cellulose polymer. Immobilisation of Enzymes and its application in sucrose industry. Organic synthesis. Synthesis of glycidylmethacrylate methylmethacrylate Acrylonitrile terpolymer- A Novel carrier for enzyme immobilisation-Asian Journal of Chemistry. Catalytic Effect of invertase loaded glycidylmethacrylate co- polymer for inversion of sugar by invertase- Asian Journal of Chemistry. COMPARITIVE IN-VITRO CYTOTOXICITY OF RED PIGMENT EXTRACT OF SERRATIA. MARCESCENS ON BREAST AND PROSTRATE CANCER CELL LINES –International Journal of current pharmaceutical science. EP1201637: Process for preparation of Unsaturated Carboxylic Acids. Ten Indian patent Filed in the field of Organic synthesis, Fermentation and Extraction. 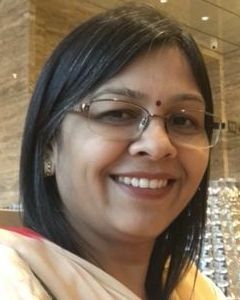 22 years experience in managing and directing the research activities of the group which is working purely on renewable feedstock since last 75 years.